Former Pittsburgh narcotics detective Trevor Galloway has been hired to look into the year-old homicide of a prominent businessman who was gunned down on his estate in Central Pennsylvania. When Galloway arrives, he determines the murder could have only been committed by someone extremely skilled in two areas: Skiing and shooting. He believes the assailant should not be too difficult to identify given the great amount of skill and athleticism needed to pull off the attack. When he discovers the victim’s property is next door to a biathlon training camp, the situation becomes significantly more complicated. Galloway makes plenty of enemies as he sifts through stories about lucrative land deals, possible drug connections, and uncovers evidence suggesting the homicide may have been elaborate suicide. As he attempts to navigate through an unfamiliar rural landscape, he does his best not to succumb to an old drug addiction, or become confused by one of his occasional hallucinations. Oh, and a Pittsburgh drug gang enforcer known as The Lithuanian—if he’s even real—is tracking Galloway and wants to take his eyes. Galloway would rather keep those. In Bolt Action Remedy, the typically quiet streets of Washaway Township, Pennsylvania become the epicenter of a mystery involving elite athletes and old grudges. For Galloway, the problems keep piling up and somebody out there believes problems should be dealt with by employing the most permanent of remedies. 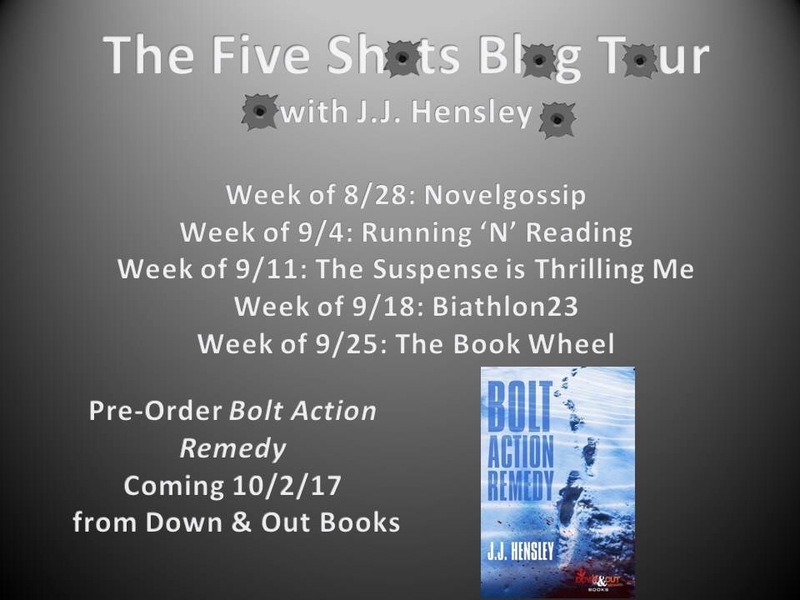 I’m so excited to be kicking off the blog tour for Bolt Action Remedy! Right from the first page of this one I was hooked, a man is shot amd killed on his property and the tension and setting was so vividly rendered, I felt like I was there, a part of the action myself. Then we flip to a year later and are introduced to Trevor Galloway, a former detective with a harrowing past. His friend Chase has asked him to investigate a cold case, that of the man who was gunned down in the prologue. Two things really grabbed me and made me well and truly hooked on this book. First the assailant had to be a biathlete which is such a unique and interesting premise, I’ve never read a book with anything even remotely close to this setting/idea and nothing makes me happier than reading a crime novel with a fresh perspective. On top of the super intriguing premise, Galloway was the type of lead that makes my heart sing. He’s damaged, flawed and practically broken, but he also has the type of ironic, wry sense of humor that never fails to satisfy me as a reader. He also suffers from occasional hallucinations making his reliability a constant guessing game that kept me on my toes. This was really fast paced with a ton of action and some great scenes that made my heart race. The writing style is sharp and witty and there was enough information about biathlons to keep me engaged but not so much excessive info that I was bored. The mystery itself was taut and I could never quite figure out what would happen next, it really was an entertaining read. If you’re looking for a fresh, remarkable crime novel, give this one a shot. Shot 1 of the Five Shots Blog Tour. Thanks to Amy at Novelgossip for taking the time to discuss Bolt Action Remedy. 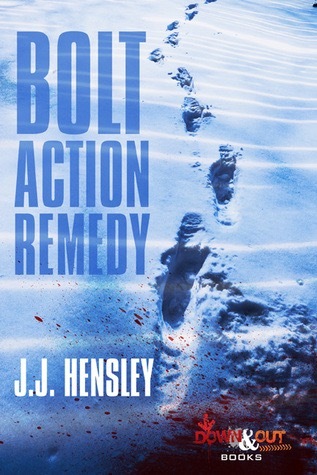 Check out the book, Bolt Action Remedy, by J.J. Hensley, as featured on the Novel Gossip blog.